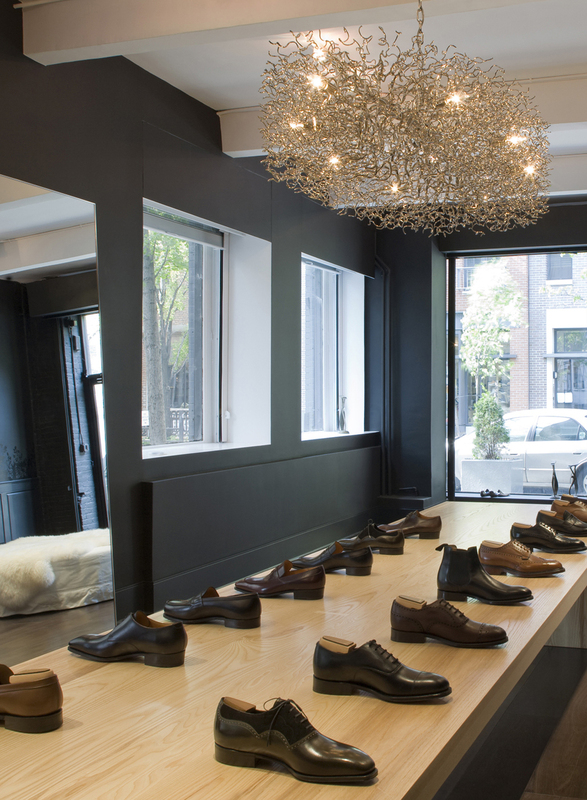 The renovation of this corner retail space for the luxury men’s shoe store, Leffot, began with an unusual idea for displaying shoes – a dining table. Various shades of inky blacks provide a dramatic backdrop to the modern white slip-covered furniture. The playful dialogue between modern and traditional effectively creates a bold yet serene backdrop for the main star – the shoes. "The fact is, that his Royal Highness, your father, has been graciously pleased to order a pair of boots from me, top-boots, riding-boots, with spurs, and made of the best quality patent-leather."